I’m sure you’re familiar with the talented and sweet Jennifer McGuire right? Well, if you’re not make sure to hop on over to her blog and be prepared to be inspired by all her stamping techniques. A few months back she released a series of posts all about her favorite crafty things. I entered her giveaway and was pleasantly surprised to have actually won one! Weeks later, I received a fun prize pack in the mail which included this fun stamp set from Kelly Purkey. 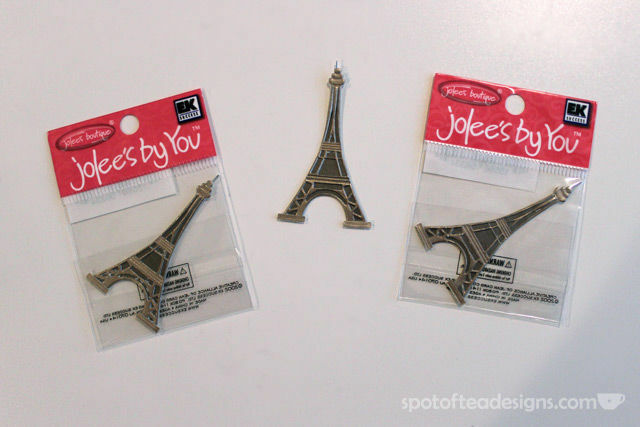 Remember, these Jolee’s By You embellishments that were sold in craft stores back in the day? 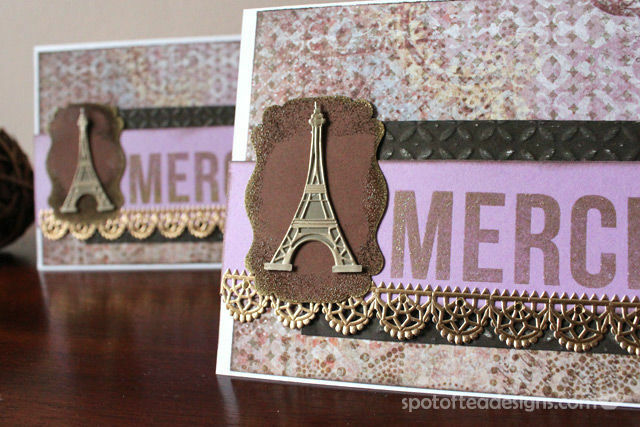 These Eiffel Tower designs would make the perfect compliment to Kelly’s stamp! 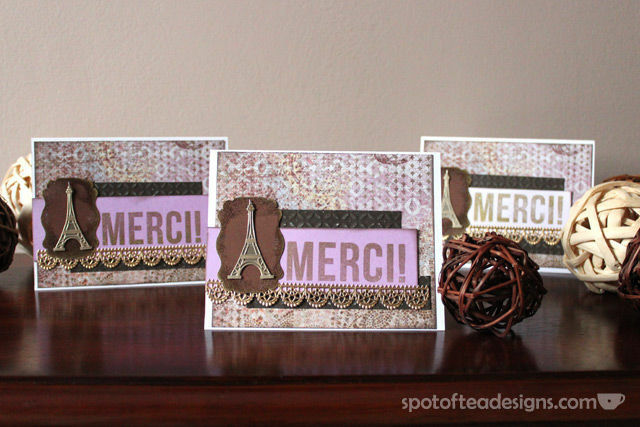 After a little heat embossing and some other layered embellishments, I now had three new Thank you cards to add to my collection. You can never have enough birthday or Thank You cards! Thanks again for the great prize, Jennifer!